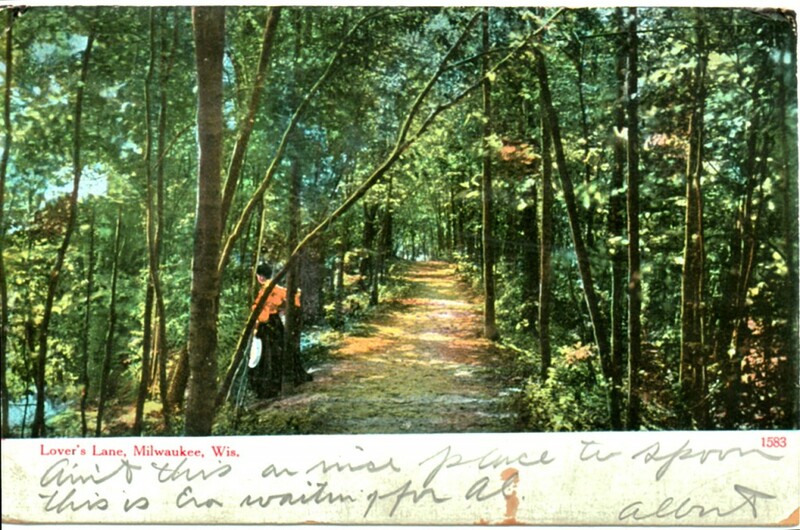 An antique postcard adds a fresh perspective to a post from last year on the end of Kern Park’s “Lover’s Lane.” Read it here. Lovers’ lane in Kern Park is doomed. 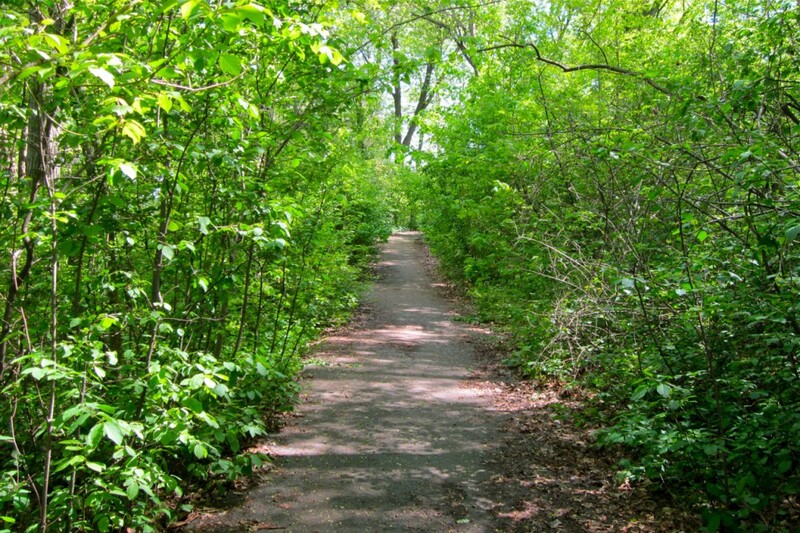 That dark, alluring walk under the trees beside the Milwaukee River – illuminated by no more than the moon – won’t be that way much longer. A thousand dollars worth of lights are to be strung along the walk the park board has decided. It approved a recommendation by Al Riemenschneider, park engineer, to include that sum in next year’s budget. “We need the lights from a moral standpoint,” explained Otto Spidel, acting park superintendent. I checked the other day. The lights are no longer there. However, I didn’t see any lovers either so, from a ‘moral standpoint,’ we must be behaving ourselves these days.